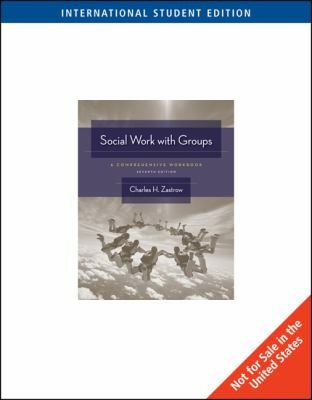 Using a plentiful selection of skill-building and self-evaluation exercises, author Charles Zastrow's comprehensive, workbook-style text promotes his philosophy that you can learn group leadership skills best by practicing them in class. 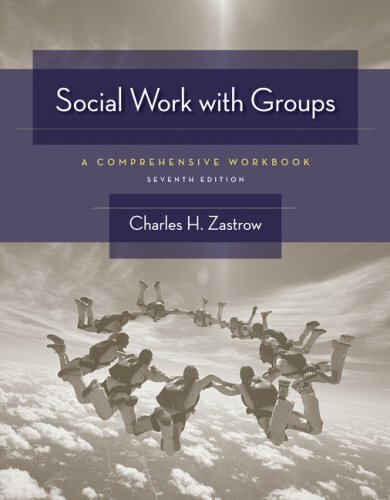 In this seventh edition of SOCIAL WORK WITH GROUPS: A COMPREHENSIVE WORKBOOK, Zastrow discusses topics central to a successful understanding of group leadership: stages of groups, group dynamics, verbal and nonverbal communication, types of groups, and diversity in groups. When you participate in groups, the classroom becomes a "lab" where you can experience what it's like to work in and lead the many kinds of groups the author discusses. bestselling author, Dr. Zastrow has written more than 45 articles in professional journals as well as nine books, including four textbooks: THE PRACTICE OF SOCIAL WORK, SOCIAL WORK WITH GROUPS, SOCIAL PROBLEMS: ISSUES AND SOLUTIONS, and UNDERSTANDING HUMAN BEHAVIOR AND THE SOCIAL ENVIRONMENT (with Dr. Karen Kirst-Ashman).